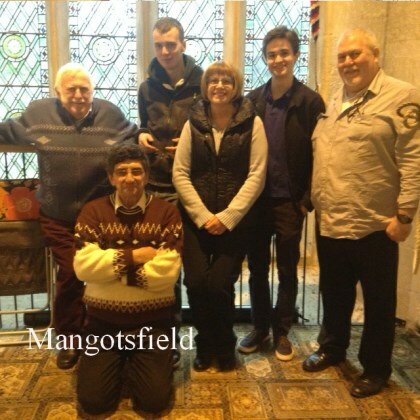 The Mangotsfield winning team and Alan Coombs receives the Rural Branch Trophy from Ruth Beavin this years judge. 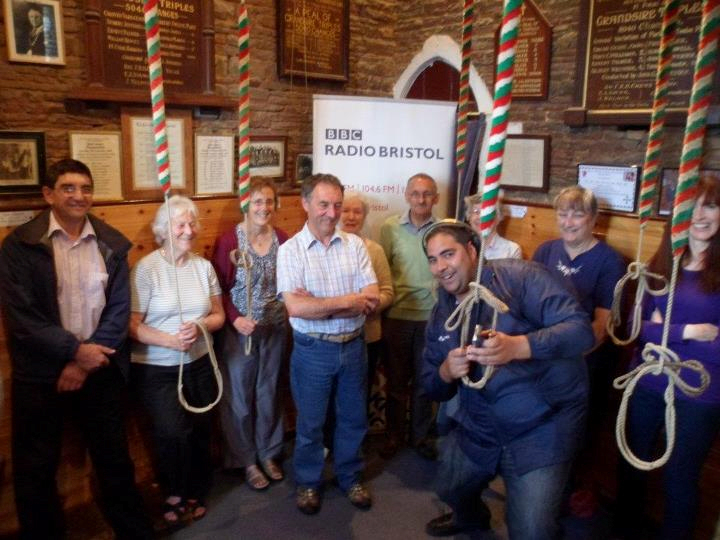 Radio Bristol 'Down your way' visited Mangotsfield tower during August 2012 with Rural Branch Ringers. 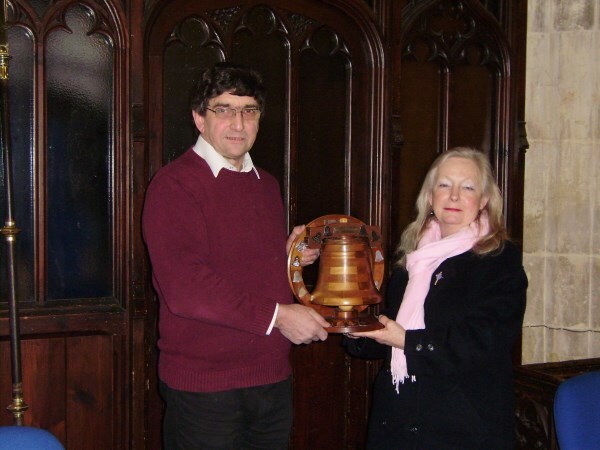 Sorry the pictures a bit fuzzy! 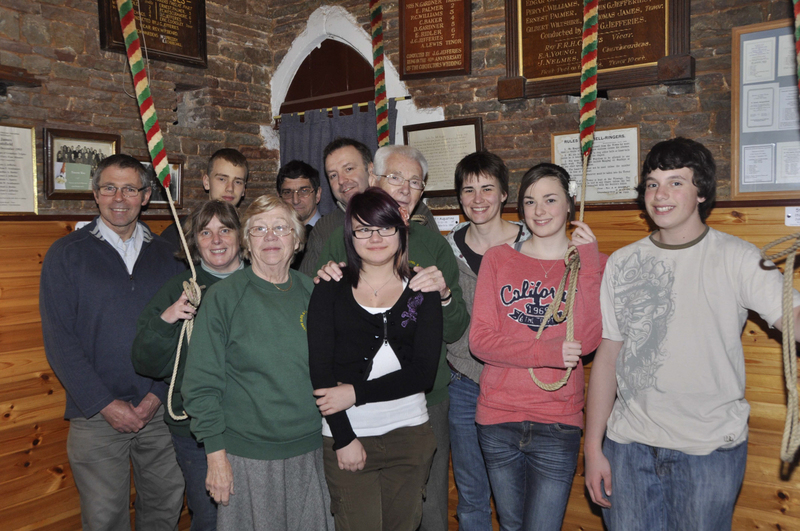 Mangotsfield bell ringers and learners after a very successful recruiting campaign by the tower and the church.